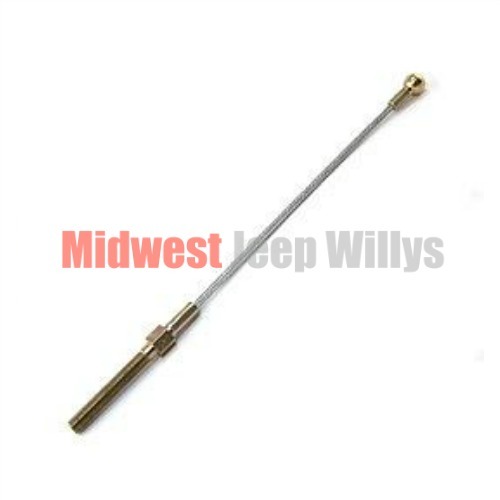 Replacement Clutch Release Cable measures 11"
Willys M38 (1950-1952) w/ 4-134 L-Head engine; up to Serial #: 74419. Jeep CJ-3A (1949-1953) w/ 4-134 L-Head engine. 11″ Long; Threaded On One End and a Ball On The Other End.